Our luxury B&B provides an en-suite family room with king-sized bed and partitioned bunk-bed and a private guest lounge/dining area and some of the most stunning views the Isle of Skye has to offer. 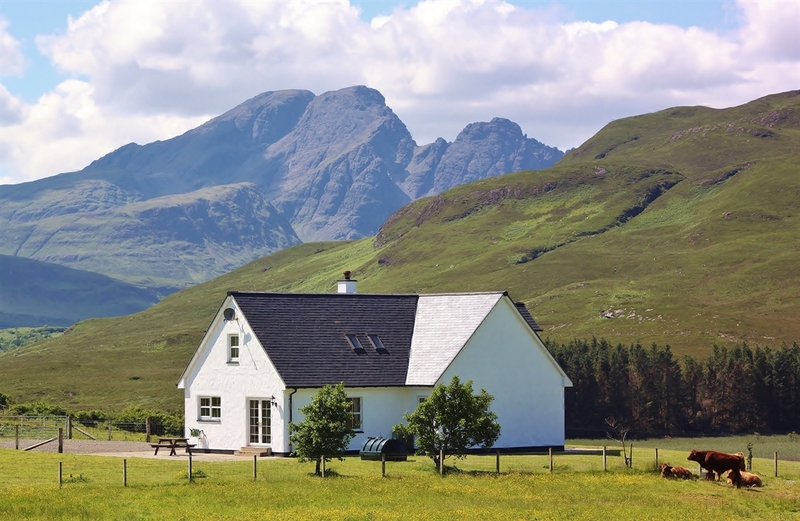 Experience the best of many worlds from our luxury bed & breakfast retreat at Strath Glebe on the Isle of Skye — the thrill of exploration, exhilarating mountain views, the tranquillity of wide open spaces and an abundance of wildlife, unique geology and a rich cultural history. Our family bedroom includes a king-size bed in the front portion with breathtaking views of the Red Cuillin, Loch Cill Chriosd and Blaven. Through the open doorway to the rear we have a full sized bunk-bed and more stunning views including Ben Suardal plus all the usual facilities including an en-suite with a large shower. WiFi internet access is available throughout the house. Our guests have the exclusive use of a spacious and stylish lounge complete with log fire. The bookcase is home to mainly local and Scottish books including a selection for children in Gaelic and English and the television includes freesat and a dvd/cd player. The magnificent vista from the dining table is sure to distract even the most hungry of diners at any time of the day. The bedroom has a king-sized bed and a strong bunk-bed, so four adults can be accommodated or a family of four. One further child under two can also be accommodated in the room. We have all the usual facilities for making tea and coffee, plenty storage including space for your luggage, a spacious dressing table and an en-suite with a large shower and all linen and towels are provided too. WiFi is available throughout and the lounge has plenty books on the Isle of Skye and beyond plus local maps and an information folder. 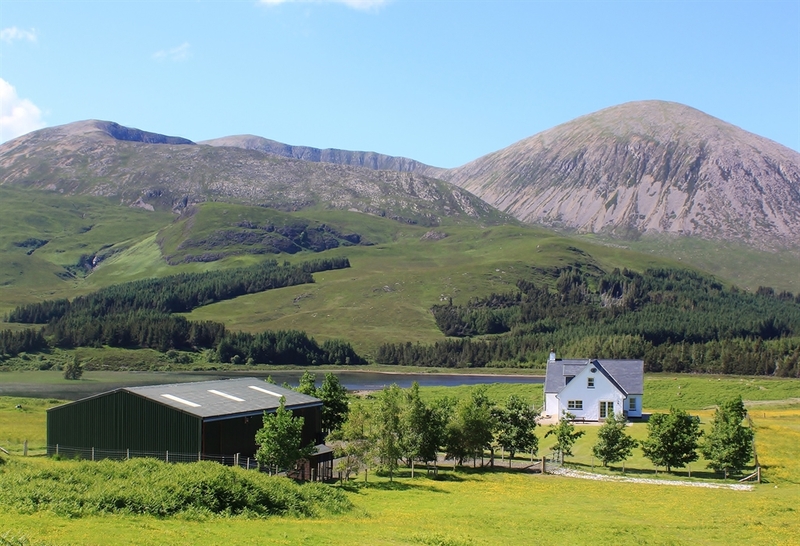 There are also games and puzzles to keep you amused if you tire of looking out at stunning scenery and the abundance of wild (and not so wild) flowers, birds and animals that live on and around Strath Glebe. We can provide a travel cot and high-chair for babies and toddlers. An iron and ironing board are available upon request and we also offer a laundry service for those staying 3 or more nights. Packed lunches can be provided if booked before 6 pm the previous evening. Storage is also available for cyclists and those with outdoor equipment that needs kept in a dry place.